Feargal Ward's award-winning documentary feature, ‘The Lonely Battle of Thomas Reid’ will open in Irish cinemas nationwide on October 19th, 2018. The film, which had its World Premiere at IDFA in Amsterdam has since screened at HotDocs Toronto, ZagrebDox, Moscow International Film Festival, DocAviv, DocumentaMadrid, Docs Against Gravity Warsaw and Dokfest:Munich, and won the Dublin Critics Circle Best Irish Film award at the Dublin International Film Festival. ‘The Lonely Battle of Thomas Reid’ tells the story of Thomas Reid, a Co. Kildare farmer who, for years, has been locked in a gruelling battle with his neighbour — U.S. microchip manufacturer, Intel who wants to expand into Reid’s land. When his farm in Leixlip was the subject of a Compulsory Purchase Order (CPO) by the Industrial Development Authority (IDA), Thomas decided to risk everything by challenging the state body in a battle through the courts. The film is directed by Feargal Ward, produced by Luke McManus of FSE Films, DOP is Feargal Ward, and the film’s sound design and editing was done by Tadhg O’Sullivan. 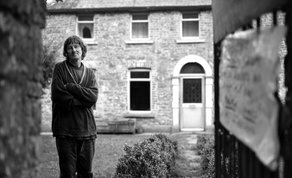 The feature documentary was financed by the Screen Ireland under their micro-budget scheme. ‘The Lonely Battle of Thomas Reid’ opens in Irish cinemas on October 19th, 2018.